Bill teaches using story as a technique for subtly sharing insight and information. He emphasizes stories which celebrate the natural world and human-nature interactions. From 1991-98, Bill was Co-Director & Instructor at Free Spirit Nature Camp in Warwick, NY, conducting six-week summertime camps for 4-12 year olds, presenting pre-camp staff orientation, acting as camp medical director, and planning/implementing activities focusing on nature study and exploration, survival skills and conflict resolution. Bill was also Program Director at Pathfinder Outdoor School in Mountain Center, CA from 1991-92 & 1993-94, administrating the residential outdoor education program, communicating with schools to set schedules, giving school site presentations to students and parents, developing/implementing new classes and programs, and teaching classes in natural science and other outdoor pursuits. Bill was also Teaching Fellow at Montclair State University’s N.J. School of Conservation in Branchville, NJ, from 1992-93, where he taught environmental education classes and developed teacher training workshops. From 1990-91, bill was a Naturalist Instructor at Greenkill Environmental Education Center in Huguenot, NY, where he designed and taught classes natural history to grades 410 during 3-5 day visits, using Project Adventure, High Ropes and the Climbing Wall to establish cooperative learning. 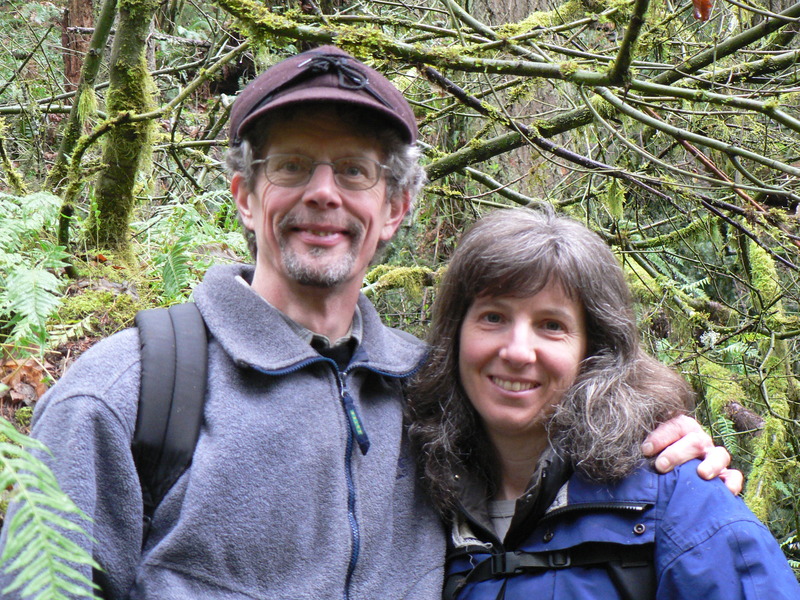 Bill was also an Environmental Education Intern at Clemmie Gill School of Science and Conservation in Springville, CA from 1989-90, at Ryerson Conservation Area in Deerfield, IL , and at Northcoast Environmental Center in Arcata, CA in 1988. Bill was also a Docent at the Nature Conservancy’s Lanphere-Christensen Dunes Preserve in Arcata, CA from 1985-88, leading interpretive walks for school groups and the general public which focused on the geology and ecology of the dunes. He was a trail crew member for the U.S. Forest Service in Tongass National Forest,, Misty Fjords National Monument in Alaska in 1985, a Wildlife Technician for the Alaska Department of Fish and Game in Fairbanks, AK in 1994, working on the Kenai National Wildlife Refuge, and again a Wildlife Technician for the U.S. Forest Service, Institute of Northern Forestry in Fairbanks in 1993, assisting a biologist on a moose foraging ecology study in Denali National Park. Lorien MacAuley, B.S. in Biology, M.S. in Life Sciences, PhD in Agricultural, Leadership, and Community Education at Virginia Tech while working for the Virginia Beginning Farmer and Rancher Coalition. She now researches on-farm apprenticeships at Virginia Tech, with areas of interest including beginning farmer education, community-based food systems initiatives, food justice, alternative agrifood movements, sustainable development discourses, and labor issues within the food system. In Fayette County, WV, she managed an educational market garden for two seasons, in which youth grew, harvested, and sold veggies at the farmers market. Lorien holds a PhD in Agricultural, Leadership, and Community Education; a Masters Degree in Agricultural and Extension Education; and a Graduate Certificate in Nonprofit and Nongovernmental Organization; from Virginia Tech. Huck served as our camp nurse and graduated from our Earth Skills Teaching Apprenticeship in 2005, when he also co-taught our Rock Climbing course and assisted with several day and overnight camps as well. In 2006 he ran the GeoTRIP, and he taught a variety of camps for us in 2007. He comes to us with a plethora of previous experience, including as an ambulance driver EMT. He is a gifted musician, having played with many of the great jazz artists of our time who visited Arizona State University during his years there. As you can read in his Arizona Outback Adventures bio where he heads up their risk management and instructor training divisions, plus his Most Exceptional Worldwide REI Guides write-up, the list of his attributes and accolades goes on and on. We are proud to be part of his history and future. 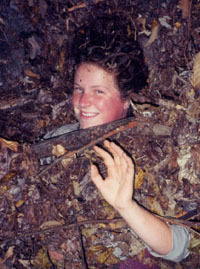 Nikki is a 1999 graduate of the Dominion Herbal College, illustrated Wolf Journey – Trail of the Naturalist, and recently authored an account of her 2 year primitive living experience in the western wilderness called Becoming Wild with our apprenticeship graduate Micah Fay, where they succeeded in reaching the “stone age living” level all of us in the field wish we could pull off. She was mentored in wildlife photography by William Gibbons, a great Rocky Mountain wildlife photographer. She has been a loved volunteer for Wolf Camp since 2000, and our most advanced student having progressed through the Wolf Journey course. Nikki is a natural teacher and excellent tracker, herbalist, artist and survivalist. It is an understatement to say that Nikki is now one of the most highly trained earth skills educators in the field. We don’t know of more than a couple other people who claim to have accomplished what she has, and we are more than proud to have her advising us. Nikki is currently running her own wilderness guide programs and selling her prime crafts off the northeast Vancouver Island coast near Port McNeill, B.C. Please see bcraincoast.com for all the details. 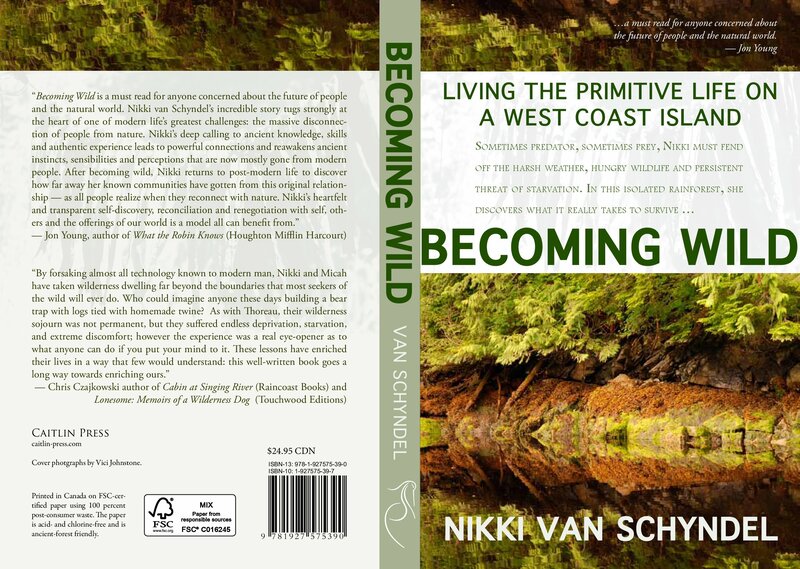 For more details on Nikki’s trek, check out our book review on Becoming Wild. 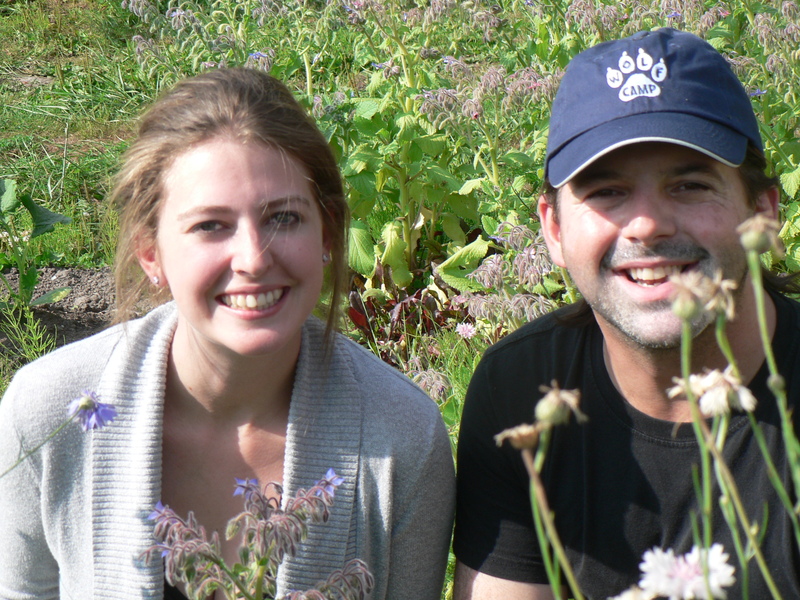 Kate Hedges was the first graduate of the our Earth Skills Teaching Apprenticeship. She came specifically to learn earth skills and to learn how a functioning earth skills school ran in order to go back home to found the first official earth skills training institute in Scotland, all in the same year she graduated from the University of Edinburgh. Due to her skill, talents and fun, she made her Blue Skies earth skills training institute a popular success in its very first year! If you live in Europe or are travel in to the British Isles, contact her through us or telephone (international prefix varies) 0131 228 9608/ 07984 893436 to find out about attending one of her great courses or to arrange a custom-designed programme. Most exciting is that Kate recently acquired a new permanent home for Blue Skies, a beautiful piece of land called Roeburn Wood, and it is situated about 30 minutes walk from Helensburgh, west of Glasgow. It is best accessed by train to Helenburgh Central railway station, a short journey from Glasgow. It’s harder and harder for Kate to get free to fly over and teach with us anymore due to her packed schedule at Blue Skies. For a personal note from Kate, check out our Apprenticeship Testimonials and scroll down to 2001. Carol has extensive experience teaching in a variety of settings, and was co-founder of B.C. Primitive Adventures in 1996. She has worked as a counselor at Leyline for several years, and all the students who have attended Wolf Camp can attest to her fun, nurturing, and challenging leadership. She is a graduate of many Tracker School courses, including Advanced Scout, and has become a highly skilled herbalist, survivalist, and teacher. Jason came to us with many years experience guiding wilderness therapy courses, and many years of dirt time with survival skills. He is co-teaching a variety of camps with us this summer, and has been a great help to our program since starting to work with us years ago. He is a great craftsman in the field of primitive skills, and has an amazing, calm, happy, humble and welcoming energy with young people. Among many other accolades, Jason most recently earned a Level I Cybertracker Track & Sign Certification in 2013. Torrey first came to a Bellingham day camp when he was a wee little 7 year old, and has been coming back ever since. Growing up without TV or video games, his entertainment and education has always come from nature and the outdoors. His interests include teaching, tracking, backcountry camping, woodworking, traditional survival skills, foraged food, blues/swing dance, and sustainability. 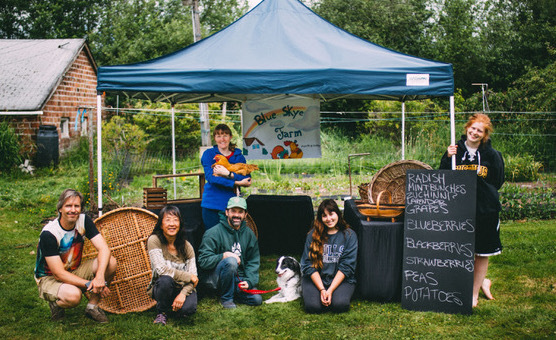 After 10 years of Waldorf education and 4 years at Bellingham High School, he received his Bachelors in Sustainable Design from Quest University Canada in Spring of 2016. Most impressive about Torrey, in addition to his advanced outdoor skills, is his natural teaching ability. Balancing what he learned at Waldorf with his Wolf Camp experience, he just knows how to inspire students to learn, and take them safely through lessons like a pro. For a personal note from Torrey, check out our apprenticeship testimonials and scroll down to 2012, and check out his personal construction business website at Cedar Creek Designs. 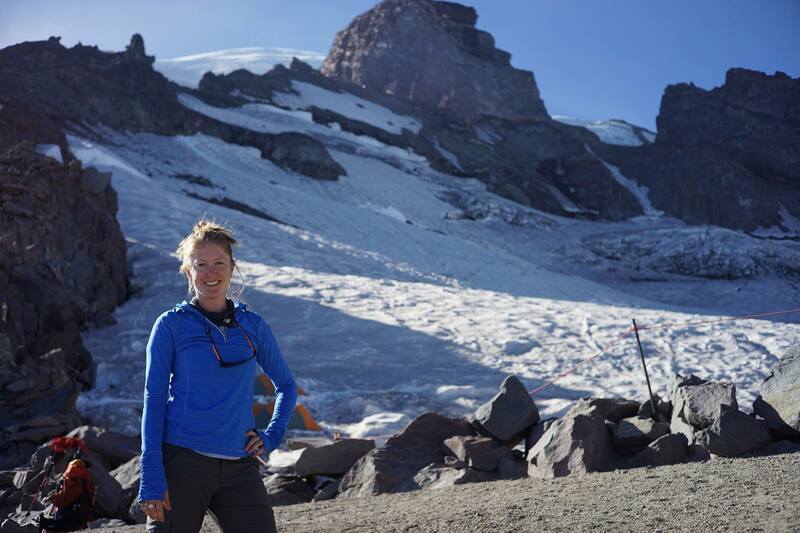 Krista Rome holds a bachelors degree in environmental studies from WWU Huxley College and after college, worked at a prestigious wetlands consulting firm in Washington State. 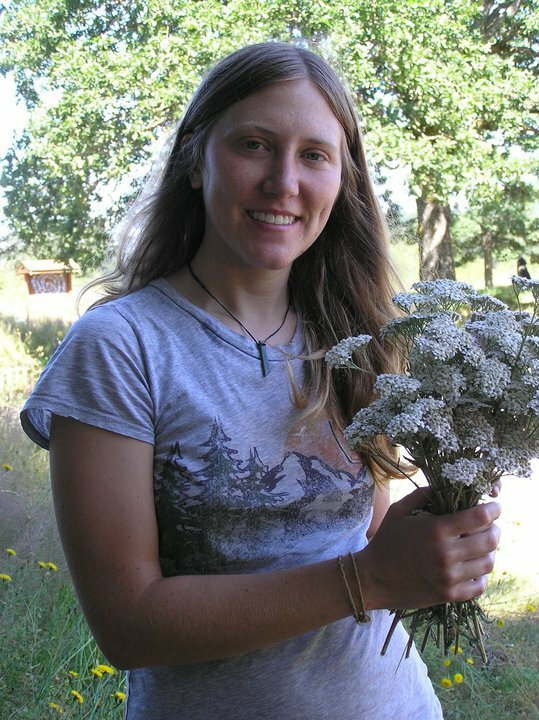 She has extensive experience working with native plants, and guiding school groups in habitat restoration. She is also a talented basket and drum maker, and her passion is to live as sustainably as possible on the land, and to teach those around her the values and joys of simple living. Krista was also certified as a Wilderness First Responder. She graduated from our Earth Skills Teaching Apprenticeship in the summer of 2003 after returning from the Peace Corps in Uganda, taught camps all summer in 2004, and continues to be a close advisor throughout the year. Krista has also gone on to become proprietor of the Grains & Beans Project. For a personal note from Krista, check out our Apprenticeship Testimonials and scroll down to 2003. Scott Fanello, B.S. in Biology, graduated from our Earth Skills Teaching Apprenticeship in the summer of 2004, and due to unprecedented experience, soon became a lead day camp instructor in August. He lived at Wolf Camp as part of our Wolf Journey Ethnobiology Apprenticeship, helping to develop our organic gardens and farm animals while also studying earth skills to a great depth. Scott lead several of our camps in 2005-06, including the development of the Old School Pioneers camp. 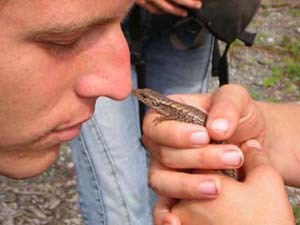 He is Wilderness First Responder certified, and trained in Site/Risk Management. Scott received his masters in stormwater engineering and relocated to the mountain west where he works in the field. For a personal note from Scott, check out our Apprenticeship Testimonials and scroll down to 2005. 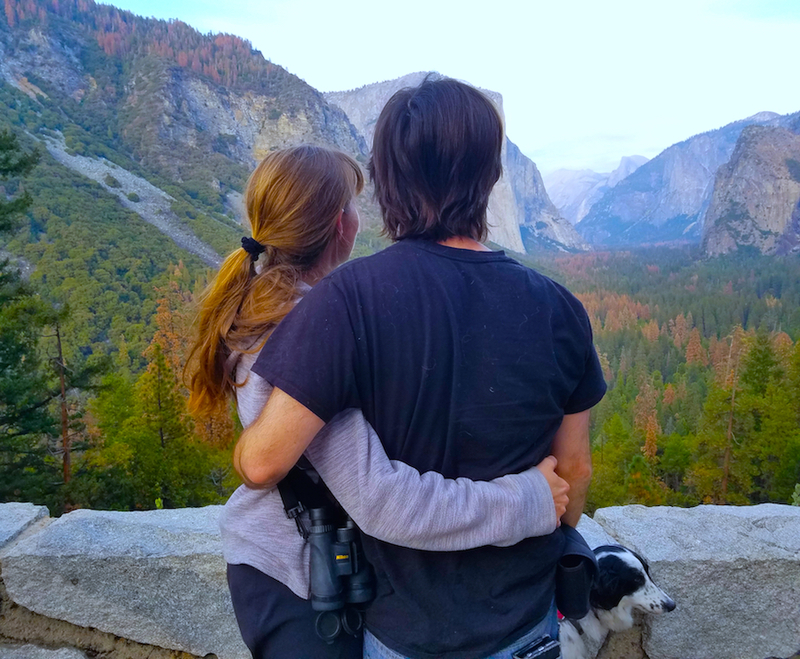 Rachel completed the Wolf College Summer Teaching Apprenticeship in 2010 after coming to us with great experience teaching environmental education and an herbal degree from Bastier University. After her apprenticeship, she continued to teach and then returned home to Asheville NC where she attained her masters degree and now works as a counselor. For a personal note from Rachel, check out our Apprenticeship Testimonials and scroll down to 2010. 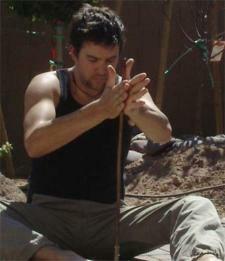 Griz graduated from the Earth Skills Teaching Apprenticeship in the summer of 2003. He first came to Wolf Camp as a young camper in 2001, then returned in 2002 as the first graduate of our Youth Mentoring CIT Program. Bill specializes in Primitive Artisanry, with expertise in hunting, fishing, and tracking. 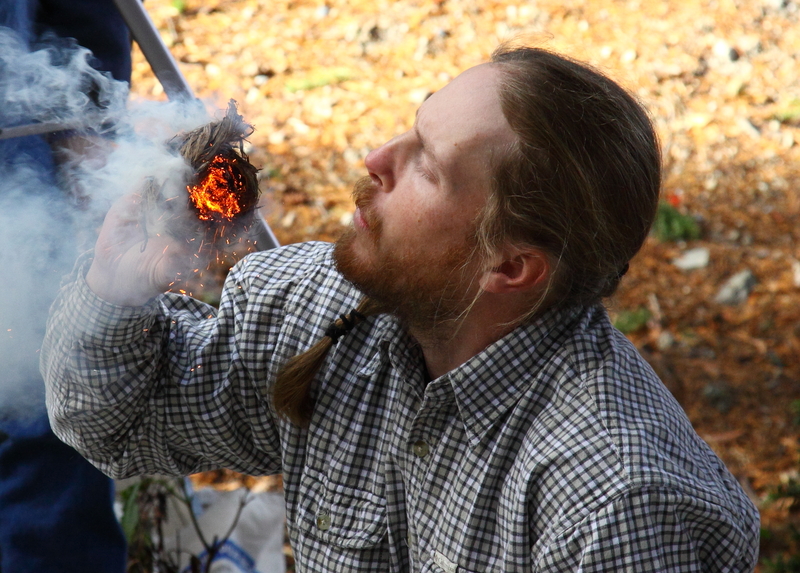 He lead our Primitive Fishing and Stone Age Technologies camps, plus co-taught a variety of day camps in 2005. He is an Emergency Medical Responder, a Wilderness First Responder, and is trained in Site/Risk Management. He hails from his hometown of Crow’s Nest Pass, Alberta, and is currently developing his own Earth Skills programs near Calgary. For a personal note from Griz, check out our Apprenticeship Testimonials nd scroll down to 2002. Alex first came to camp in 2001 as part of our wilderness survival and seaside kayaking courses. She returned at age 15 to help with our rock climbing and other courses as part of our Youth Mentoring CIT Program in 2004, graduating from our Wilderness First Responder course and other trainings that year. After returning from studying in Italy during high school, she become Florida’s youngest public official as supervisor of the Seminole Soil and Water Conservation District, and went on to work as a rock climbing guide throughout college. Alex recently graduated from Central Florida University with a degree in Environmental Studies and is embarking on a project to film green businesses around the world. Alexandra is currently working for the U.S. Green Chamber of Commerce as the Deputy Executive Director in their Southeast Regional Office. She served the citizens of her county as an elected Supervisor for the Seminole Soil and Water Conservation District for over four years. She had been active in fundraising, event planning and educating land users on the best land and water use management practices. While finishing her Bachelor’s degree in Environmental Studies at Central Florida University, Alexandra received a scholarship for the Global Citizenship Seminar in Salzburg, Austria, and was a youth ambassador for Rotary International while studying abroad in Rome. In the business world, she has both trained and managed other employees for the Sanford Book Shoppe and the Aiguille Rock Climbing Gym in Central Florida. Alexandra’s commitment to the environment has been vividly demonstrated over the past 10 years through her diligent work with several conservation organizations and committees, including the Florida League of Women Voter’s Climate Change Committee and the League of Conservation Voters. In acknowledgment of her strong advocacy on behalf of the federal Wild & Scenic Wekiva River, Alexandra was invited by former Florida Governor Jeb Bush to speak at the Wekiva Parkway and Protection Act signing in 2004. One year later, she received the prestigious “Conservation Award” from Friends of the Wekiva River, Inc.
At last update in February 2013, she was speaking at the “Imagine Florida Without Water” event along with Former Governor Bob Graham, Former Senator and current Commisssioner Lee Constantine, and National Outdoor Book Award Winner Bill Belleville. Alexandra is now developing Follow Your Green which is an adventure to film, document, and inspire people who follow their passion as entrepreneurs in Green Business. Elissa attended UC Santa Cruz where she received a B.S. 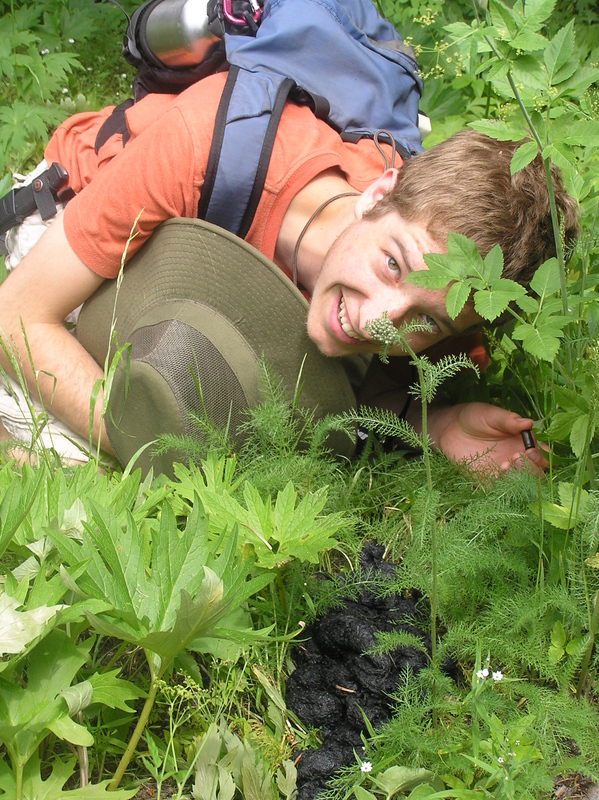 in Environmental Studies with a focus in environmental education. 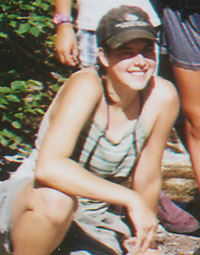 It was during this time when she developed her passion for working with kids in the outdoors. She has experience teaching all over the world with kids from many different backgrounds. From teaching English in Thailand, to running arts projects with kids in refugee camps in Greece. She was recently certified Wilderness First Responder. 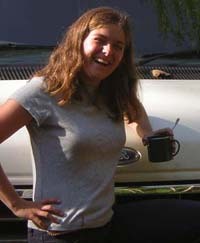 Her interest include gardening, mountaineering, traveling, cooking, crafting and dancing. “I met Chris and Kim through my cousin Marco. 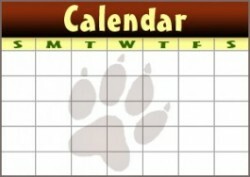 He had been a participant in Wolf Camp for many years and later joined their team as an employee. He had told me lots about the camp but I still had no idea what to expect. During my first week of training I felt slightly overwhelmed with the idea of learning all these new wilderness skills. I was wondering how I could possible retain all the new information in order to teach others. “Once camp started I was too busy to worry about how I was going to learn everything. I simply had to jump in and start learning. The returning staff were incredibly helpful, I had a million questions and they had a million answers. I never felt alone, we always had so much support from fellow staff or directly from Chris and Kim. Chris pushed me to be more comfortable and confident with rolling with the punches. Which is a necessary skill if you want to work with children. Kim taught me the importance of taking care of yourself while hard at work. I already knew this of course, but she was a great reminder. Ben Kleiber attends the University of Washington. When he wasn’t at Wolf Camp, you could find him drumming for the high school marching band or working as a Ski Instructor at Mt. Baker. He also played soccer and wrestled for Ferndale High. Ben immensely enjoys outdoor adventures such as rock climbing, snowboarding, and back-country ski trips. He began his career as a Wolf Camper when he was 9 years old, and has been coming back to teach as much as he can. His specialty is survival and scouting, but he enjoys everything about the outdoors. Chelsea started our Earth Skills Teaching Apprenticeship in 2014 and became a certified EMT in 2015. She works on ambulances and performs burlesque when she’s not teaching at Wolf Camp. Like our website? Andy is our tech guru and helped our SEO considerably. He started his Earth Skills Apprenticeship in 2014 and has vast outdoor recreation experience as well as a delightful teaching personality.